For those who love beautiful furniture but don't care for antiques, you can have the best of both worlds by commissioning your own custom furniture. This is not only an opportunity to leave your mark on tomorrow, but to express yourself, your personality, taste and style through design. 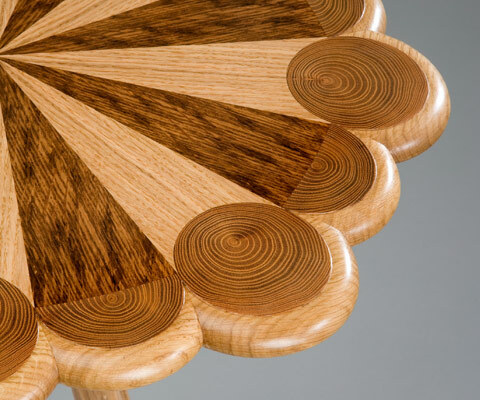 Hand crafted furniture has become a collectable, functional art form in its own right. 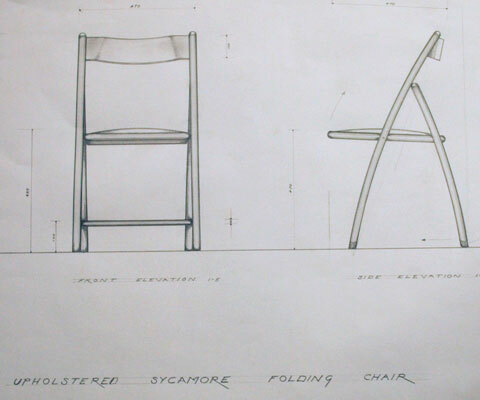 We believe the design process is one of intimate collaboration between the furniture maker and client, developing ideas and exploring materials and finishes with loving attention to detail. We spend many hours in discussion with our clients, refining and focusing ideas, getting to know the client's requirements, and gaining an understanding of the context of their home. Design is relayed through the use of firstly sketches, then colourwash drawings and, if required, a maquette or scale model. Only once every smallest detail has been considered, and the client feels that the design is a true expression of their ideas, will work commence on the piece itself. Bespoke handmade furniture requires materials of exceptional quality, and an intimate knowledge of a wide range of timbers and techniques. We work with fine English timbers, such as walnut, oak, sycamore and burr elm. Workshop conditions are controlled throughout the making of each piece of furniture, so that the wood's perfection is maintained during construction and for the rest of the piece's long life. We complement the quality timber with materials such as leather, stone, glass and fine metals. 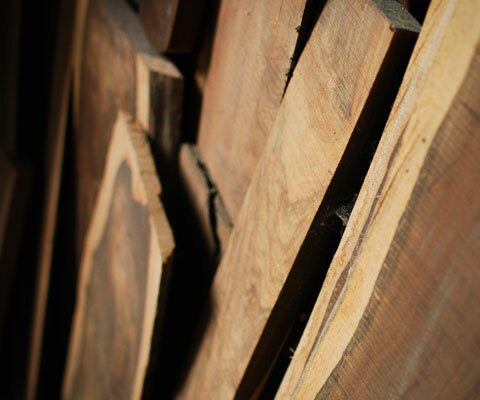 As well as modern machinery and techniques, we also use traditional methods to create our bespoke furniture. You will see examples of dovetail jointing, inlay and marquetry decoration in our portfolio.